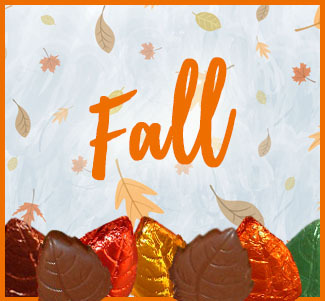 Fine chocolates & unique gifts, since 1956! Milk Chunk Chocolate - 1/2 lb. Dark Chunk Chocolate - 1/2 lb. Sugar-Free Assortment - 1/2 lb. Marie's Bar - 4 oz. Depot Tin - 19 oz. Milk Chocolate Oreo - 1 oz. Milk Chocolate Graham Cracker - 1 oz. Sour Patch Kids - 1/2 lb. Gummi Bears - 1/2 lb. Fruit Jelly Beans - 1 lb. Jelly Belly Jelly Beans - 7 oz. Strawberry Licorice - 1/2 lb. Kookaburra Licorice - 1/2 lb. Butter Toasted Peanuts - 1/2 lb. Wrapped Caramels - 1 lb. Party Mix - 1 lb. Cajun Kicker - 1 lb. Ohio State Big Gulp - 11 oz. Ohio State Gift Bucket - 59 oz. Michigan Oreo - 1 oz. Michigan Travel Mug - 10 oz. Flower Oreo - 1 oz. Milk Chocolate Foil Pansies - 1/2 lb. Thank You Mug - 5 oz. Tasty Treats Floral Stack - 24 oz. 6-pc. Pretzels - 1 oz.